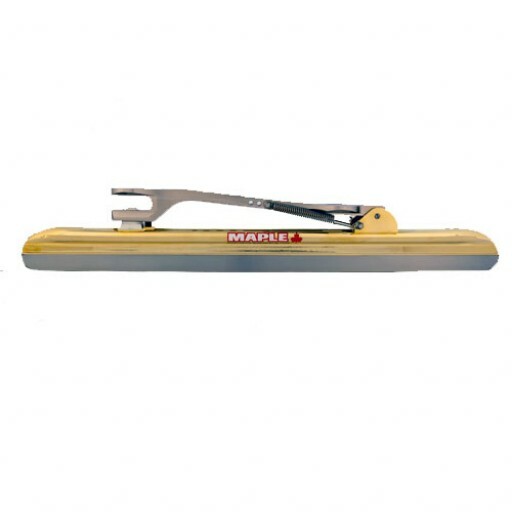 Comet Laser 800 pack is one of the best package that Maple has to offer. Обычная цена: 52 832,94 руб. Special Price 50 512,66 руб. A complete set with a shoe that fits perfectly to your foot. The shell is made from carbon fiber and fiberglass. The Barefoot technology provides additional comfort. The anatomic shaped boot features a seamless lining that ensures a perfect fit without bumps. The tubes are made of a specially shaped tension and torsion-free steel skate tube. Corners can be made at top speed. 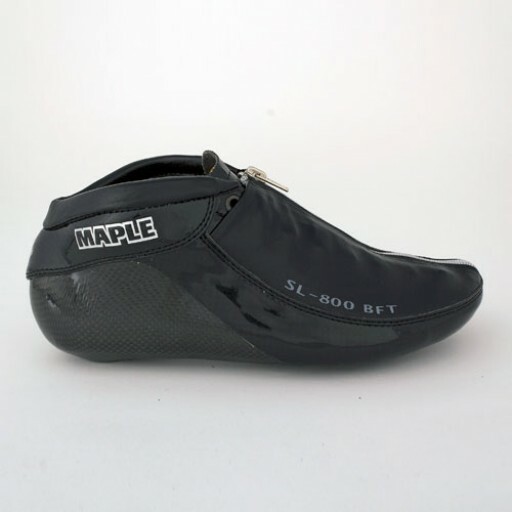 Under the Maple SL-800 BFT shoe is the Maple Comet Laser. 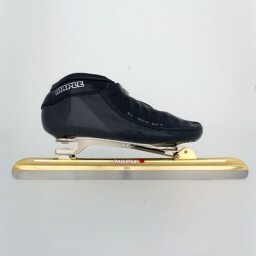 The Comet Laser is a clap skate with a specially shaped tension and torsion free skate steel tube that is interchangeable. The tube has a reinforcing rib which makes the blade more stability is located in the bend. Corners can be made at top speed. On the straight the energy can be converted into a maximum speed. The iron is made up of bi-metal 64 HRC having a thickness of 1.1 mm.